So you wrote a book. And it’s truly a thing of beauty. Prose polished to perfection, you’ve lovingly crafted your masterpiece in the stolen moments around an impossible schedule. You’ve commissioned the most beguiling of covers, invested in an ace editor and painstakingly tweaked the interior formatting to ensure the delicate sensibilities of your reader will not be unexpectedly jarred by a rogue font pairing or flubbed folios. Time to share your creation with the world. Time to receive the glowing appraisals and positive feedback from your appreciative fans and the top book reviewers in the industry. But hold up a minute. You know your book is the cutest, smartest, most precocious book in the world–obviously–but, how will top reviewers or your adoring fans know, unless they read it? And how will they know to read it, if there are currently no reviews encouraging them to do so? How on earth do you get reviews for your book (so you can sell more books, so you can get more reviews to sell more books)? Do Book Reviews Impact Book Sales? Before we get knee deep into the “how” of getting book reviews, let’s take a look at why (or whether) we need them. How important are book reviews in terms of adding exposure and increasing attention? Do reviews actually sell more books? Determining the actual impact of reviews on book sales is a bit slippery. A multitude of factors come into play before a decision to purchase is made, many of which are interdependent and act to create a combined affect on book buying behaviour. Mark Coker, of Smashwords, shared the results of a survey he did on How Ebook Buyers Discover Books, where he “challenged readers to select the single most common criterion they follow to discover their next read.” The results were somewhat surprising as to the weight given to reviews in the mind of an ebook buyer. Looking at the data reported, only 3% of respondents cite reviews or recommendations from traditional media as being their preferred book discovery method, and 7% state that they browse randomly first and then look at reviews. Granted, this study is limited in size and scope, but it does beg the question: is the effect of reviews on purchasing behaviour as significant as we presume? Plus, the trustworthiness of online book reviews is increasingly being called into question. Authors now have the opportunity to pay a third party to write a review, perhaps artificially boosting their review numbers. And although it may be possible to receive “legitimate” paid reviews, many are disingenuous, with the seediest variety being downright deceptive. This practice reduces the authenticity and reliability of reviews, further muddying its relevance as a buying trigger. So, is our work done here? Can we just skip book reviews altogether and focus our efforts elsewhere? According to Cornell sociologists Shay David and Dr. Trevor Pinch, co-authors of a 2006 analysis of online recommendation systems, “…recent qualitative research adds weight to the claim that these review systems have causal and positive effects on sales; to nobody’s surprise, books with more and better reviews are shown to sell better (Chevalier and Mayzlin, 2004)”. Here’s my take: while it still may be unclear as to the level of influence reviews hold in today’s world, I think it’s safe to assume that honest, authentic reviews and feedback, written by real readers will impact book sales. Readers still look for reviews written by their peers (social proof) to help determine whether a book is worth buying and positive reviews can act as a catalyst for sales. Reviews also present an excellent opportunity for authors to get valuable, honest feedback from their readers. Praise is great for your ego (and motivation), but a good critique can help you grow as a writer. Reviews help you relate to your work from a reader’s point of view, which can favourably shape how you approach subsequent projects. On Amazon, reviews are a substantial part their business. In fact, reviews are highly valued and featured prominently on the site. With Amazon giving reviews that much attention, it makes one think that their role in the book buying process is not insignificant. Thanks to the self-publishing revolution, many of the walls have come down, allowing authors greater access and opportunities than ever before. But, “with great power comes great responsibility”, and there have been reports of rather dubious wielding of power. Authors are now also expected to carry more–if not all–of the weight of decisions that were previously left in the hands of the publisher. It would be naive to think that book reviews procured by a publisher for its author were free, unbiased and unculled (have you seen a bad review on a dust jacket?). But, the issue now is the perception of impropriety when an author pays for a review, often regardless of its legitimacy. With book review authenticity already in jeopardy, it’s easy to see how paid reviews can further taint consumer perception. Obviously, it is up to the individual to determine if paid reviews crosses any ethical or moral boundaries, but since there are other valid (and free) options available, it may be prudent to just skip the paid review minefield. Book reviews are only one small piece of the book marketing puzzle, so it’s important to craft a plan of action that will aid in your overall strategy for marketing your work and establishing your career as a writer. Often writers focus only on the writing, and recognize the importance of marketing and promotion after the book is out. This compartmentalized approach often results in a disappointing outcome: scattered (panicky) book marketing attempts and low book sales. Start early. Start now, before your book’s release. It takes time to build the relationships and contacts you’ll need to get the quality and quantity of reviews that will make an impact on your sales. Waiting until your book is published invariably means rushing–and rushing invariably means low quality. Think long term. Whatever steps you take now should also positively affect your “business” down the road. This means that the work you put forward for review is top-notch and worthy of a sincere, intelligent analysis. Regardless of whether your book is traditionally published or self-published, your professionalism and attention to detail will leave a lasting impression on your reader. Taking a long term view also ensures that you tend carefully to the connections and contacts you make with readers, reviewers and other professionals in the industry. Make a list, and each time you establish a reviewer connection or valuable contact, add them to the list. That way, you will be amply prepared when you publish subsequent books. Book bloggers are an awesome bunch. They are book lovers who have self-selected themselves based on genre, generated active, involved communities around that topic, and have considerable reach and influence with their readerships. And in some cases, they have access to an even larger pool of readers because of affiliations they’ve built with other book bloggers and reviewers. The problem is the wave of demand: everybody and their pony wants–no, needs–a book review ASAP. The way to get noticed in the surge? Cultivate relationships. Like all things platform related, time and engagement are key ingredients. 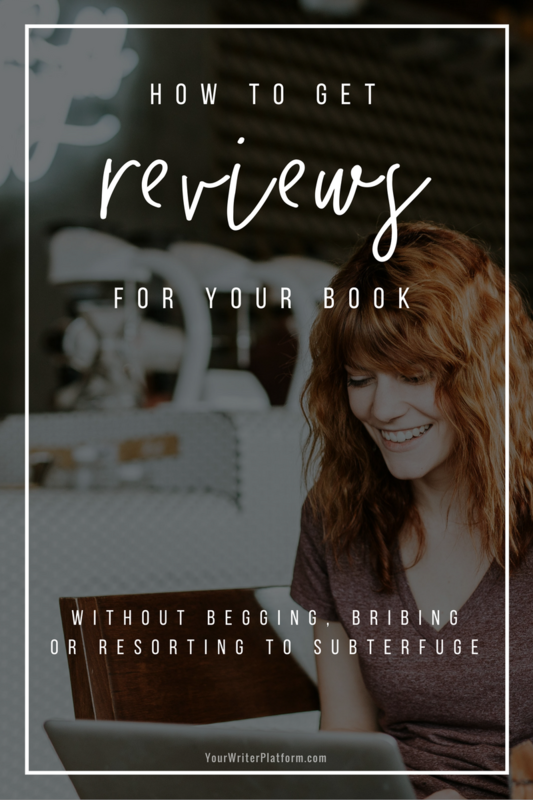 In order to stand out from the crowd, you must take the time to develop relationships with book bloggers before you start asking for a review for your book. Get involved on discussions on their blog, engage with them and their community by asking and responding to questions on topics of import to your genre. Follow them on social media, and join the conversation when it’s relevant to do so. Don’t pester. Add value. Sound like a lot of work? Don’t expect more than you’re willing to give. Book bloggers are potential business partners, who may have other connections and resources that can help you in your career. Assuming you will write more than one book, a book blogger can be as important to you as your readers. Connect with them meaningfully, add value to their community and when it finally comes time to ask for a review of your book, they’ll likely be happy to do so. Make a list of bloggers that review your particular genre. The shotgun approach does not work here. Choosing a reviewer that is not interested (or worse, offended) by your topic or content could leave you with some very disappointing reviews. Review and follow their book submission and review policies exactly. Your pitch should briefly state who you are and what you are offering for review. Provide basic info about your book including the title, genre, number of pages, a short blurb, book formats available, the publisher, the release date and a link to your website. Personalize your pitches or queries. Check out their blog and other books they’ve reviewed. Ensure that they specialize in your genre or target audience. Address them by their name (NOT Dear Book Blogger), and mention that you’re an active member of their community (if you are). Note the turnaround times, the “to be read” lists and their reviewing style for similar novels. Are reviews posted only on their blog or also on Amazon, Goodreads, and other review sites? You can get a very rough estimate of a site’s traffic by checking their Alexa rank (the lower the number, the better). Add this metric to a book blogger’s social media numbers, as well as the number of shares and comments on the posts, and you’ll start to get an idea of the popularity of the site. More popular sites may have a wider reach (although not necessarily more influence over their readers), but they may be more difficult to get a review from. Blogs that see little action in the form of visitors, comments and shares, may have too little reach. Thank every book blogger that takes the time to provide you with a review, favourable or otherwise. It’s common courtesy, and just good business. Your platform consists not only of the tools you use to gather your people together (like social media, blogging, speaking, traditional media, and so on), but the connection, the engagement and the influence you have over your readers, and they over you. 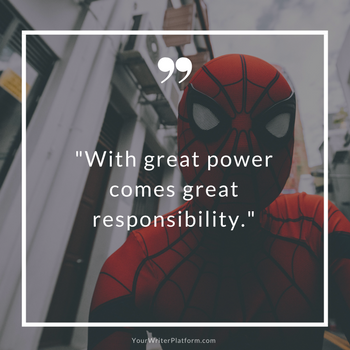 It’s the back and forth, give and take, that’s the juice behind your platform’s power. If you are careful about laying a proper foundation, the impact and reach of your platform will multiply over time. But even in the beginning stages, your newly hatched platform can help facilitate getting reviews for your book. Clearly define your author brand and determine the ideal audience for your book. This makes it much easier for you to recognize the intersect between what you have to offer, and the needs and interests of your readers. Use social media, forums and other online communities to develop relationships with those people whom you’ve identified as your target readership–share useful info, join discussions, have meaningful conversations. After you’ve built a relationship, let these people know that you are interested in getting feedback for your book and would be happy to offer a free copy for an honest review. Ensure all your outreach and communication efforts are funnelled back to your author blog/website, and encourage these visitors to join your email list. Offer an ARC (advance reading copy) to those on your list who agree to review your book before its official release, ask for beta readers, or if your book is already out, just offer a free copy for a review. When promoting your new book on your blog, ask people to post reviews, and make it super easy for them to do so by providing a link and some basic instruction. In many cases, this may be their first book review! Sprinkle review snippets throughout your site, as well as on your media/press page. Link to the reviewers site and ask them to provide a link back to your website in their review. Blog tours, giveaways, author interviews, speaking engagements, classes, library visits, media events, and so on are all opportunities where you can encourage and remind people to post a review. Determine your ideal audience’s influencers. What blogs do they read? Who do they follow on social media? Try to line up a guest post, or maybe a podcast interview with these influencers and let people know your hoping to get ‘X’ reader reviews by a certain date. This is just the tip of the iceberg when it comes to utilizing your platform to generate more reviews for your book. But remember, it’s important to build a relationship first. Garnering a positive review from one of Amazon’s top customer reviewers is not only a great endorsement for your book, it’s often perceived as a more meaningful, and especially helpful, review due to the criteria that Amazon uses to qualify those that have achieved this ranking. As with book bloggers, taking the time to build a connection with these reviewers prior to pitching them can increase your chances of getting reviewed exponentially. Unsolicited, generic emails will often be viewed as spam, so do your research. Do they accept unsolicited books? What other books have they reviewed? Does yours fit with their interests? Do they have a blog where they post their reviews? How do they review other books in your genre? What are some of their other interests (perhaps some you share) that you could use to help personalize your query or pitch? The strategy for this one is pretty simple: the more hands you can get your book into, the more likely it will be read. Increase the number of readers and you increase your chances for reader reviews. Goodreads and Library Thing giveaways can often help generate more reviews and awareness for your book. Make sure you follow the policies, rules or requirements the sites may have, and do a bit of research to see what has worked well for other authors in your genre. Blog tours are a lot of work, but they can be a great way to get more eyeballs on your book, as well as help you make connections with book bloggers, reviewers and other authors in your genre. If managed carefully, these relationships can pay huge dividends down the road. Hold contests and giveaways on your own blog or through social media (Facebook, Pinterest). When you get to the end of a great book, what happens? You want more, right? The same is true for your readers. They want to engage, they want to know more about you, as an author, and other books that you’ve written. Obviously, this is a great opportunity to promote your current or future books and send readers to your site to sign up to your email list. But, it’s also a fantastic opportunity to thank your readers and ask them for a review. Write a short note, and be clear that you would love honest feedback about your book. Remind your readers that their views not only impact other reader’s purchasing decisions, but that their opinion matters to you as well. Add a link to your Amazon Author Page to make it’s super easy for them to follow through. What would otherwise be an ideal opportunity for authors to support each other, has been sullied by a few bad apples. For some, “support” has been interpreted as “exchange” and it has left a bit of a stain on the acceptability of author’s reviewing other author’s work. As well, some of the duplicitous behaviour noted above by authors trying to game the system, has caused a backlash from Amazon in the form of review policy changes and even deleted reviews. Exchanging reviews with other authors, regardless of the intention, lessons the likelihood that the reviews will be viewed as legitimate. It’s up to you to determine whether giving another author a review is worth the potential pitfalls (there are still opportunities outside of Amazon), but in every case, your review should be given freely, honestly and without the expectation of receiving a review in return. What did I miss? Any other strategies, ideas or resources for getting authentic, thoughtful reviews for your book that you can recommend? How do you feel about paid reviews, or the significance of reviews in general when it comes to influencing book sales? I’d love to get some discussion going on this, so please share your comments and feedback below! Fantastic, highly informative post both for the reviewer and the writer. I am currently reviewing at http://foundbetweenthecovers.wordpress.com while also positioning myself to hopefully publish a memoir in 2015. All of these sites were helpful from the perspective of the Indie publisher, a reviewer, someone looking to publish, and more. Thanks for taking the time and effort that must have gone into preparing this post! Great article Kim! Thank you so much for the mention of my book blogger group! We are always growing and I’m hoping to be helping even more authors get out there and get reviews! To be honest I find that the article a little too long and so I have not read the whole of it. But since everyone had given a thumb up to it I will try to read the rest later. Thanks for the feedback, William. It is more like a guide than a quick read, so bookmark it and come back to it when you have the time. Informative and persuasive. Well written! Certainly helpful! Thank you. God bless. Ignatius Fernandez. Thanks, Ignatius! Hope it helps with your new book! Terrific post, as usual! Thank you for so generously sharing your expertise! excellent article. a lot of good information. thank you for posting. Fantastic information — more valuable than any teleseminar I’ve come across. I love that this solid info is in WRITING so I can quickly skim and easily refer back as the need arises. Book bloggers rock. Wish I’d read this three months ago instead of today as my latest book launches. But, never too late for more publicity later, and I know I’ll have other books launching down the road. Thank you, thank you! And you’re right: it’s never too late for more promotion and publicity. Great post again, thanks so much. I haven’t tried the ‘customers also bought this link’ idea, so i’ll be having a go at that one. Another good way to find bloggers is to figure out books that are similar to your own, then type ‘book blogger’ and the book title or author into google. Again, lots of work but this can really produce results. Thanks for the added tip, Michael! It does require some work the very first time around, but as you continue to build relationships and add to your “list”, you’ll soon find that getting reviews for subsequent books gets easier and easier. Your article could not have been more timely – or more thorough, Kimberley. I will launch my WWI-era novel this summer, and I’m looking for readers who will do advance reviews. Your tips will keep me busy for weeks! Thanks. I always did love school. Even the homework! Kimberley, since reviews can’t be posted on Amazon until a book is available for sale, what advice do you have for prompting readers who receive ARCs to post when the time is right? Thanks. Good question! When you email your ARC group, make sure they are aware of your book’s publication date, and when you’d like the review by. Let them know that their reviews can’t be posted on Amazon until date XYZ, but that you will send them an email a week prior, as well as the day of publication, as a gentle reminder. The more informed this group is about your goals, the more motivated they will likely be to follow your direction. That said, it may be a little like herding cats! So keep in mind that despite receiving a free copy of your book, your readers are under no obligation to provide or post a review. Hopefully with encouraging reminders, the majority will be happy to do so. Wow! What an awesome post. Super helpful and *actionable* – thank you! Also, in this virtual age, it’s easy to forget the power of meeting people in person. I went to my first writers conference a few months ago, and I met so many wonderful people, many of whom are writers and all of whom are readers. After hanging out with them, I naturally bought their books – and genuinely loved them. Amazon may have an issue with writers reviewing other writers, but nothing stops a writer from becoming a fan and offering (for instance) a jacket blurb, or to give your book a shout-out to her followers. Absolutely, Laura! Thanks for adding your experiences to the mix. I haven’t met an author yet who wasn’t an avid reader, so it just makes sense to support each other. And I completely agree with your point about meeting people in person. If you have the option, there’s really nothing better. Another great article – thank you. Now need to implement and watch the reviews grow. I’ve heard from other authors that they feel lucky to get reviews from half of the people who get ARCs. I’m prepared for that (or even fewer). This approach of setting out goals, gentle reminders, and realistic expectations sounds like a plan. I’ve heard from other authors that reviews can be posted on Goodreads in advance of publication. I may add that into the mix. You’re right, Carol. Managing expectations and understanding what a reasonable return on your time investment looks like, is important. Remember too, that some of these early reviews can also be added to your website and media kit, maybe add one to your Facebook cover image, create some image quotes to share on social media, or even include some in your marketing materials. More like ten percent, actually, if that. I’ve not had good luck with giveaways. I’ve given forty books away on a LibraryThing giveaway with only one review to count for it over a month later. Maybe I shouldn’t be expecting reviews that quickly? What’s a reasonable time frame? A lot of this article is an expansion on the common wisdom — not a bad thing in and of itself, but what does one do when the common wisdom isn’t working? What are your results with some of these other strategies, Megaera? Kim, thank you for this post. The content is beyond generous and so very helpful. My book is launching in six weeks ; I only wish I had this in my hands earlier. However, it is never too late, so I will utilize every great tip you have offered. Best of luck with your book launch, and you’re right: it’s never too late to apply these tips! Kimberley, this is outstanding. And I agree, better late than never. I have just completed my latest book, “The Bible’s Hidden Wisdom, God’s Reason for Noah’s Flood.” At least I had the foresight to build my website early and to establish a beachhead on Facebook (https://facebook.com/RodMartinJr). These tips are just what I needed. I love to research controversial topics and dig down to their roots, but the list I develop for one book might not work for some of my subsequent works, except perhaps for those who merely love the writing as well as the topic. One of my upcoming projects delves into the legend of Atlantis and its scientific evidence–proof of an Atlantis-like event right when Plato said it happened. Applying your words of wisdom will certainly keep me busy. It definitely requires more work overall if you write in multiple genres, Rod, but I’m sure you’ll agree that following these tips will lesson your work load considerably. Plus, you never know when you’re building these relationships who might know that “perfect” contact for your next book or project. Your article is just what I needed. I’ve a traditionally published books coming out at the beginning of March and I feel the publishers are a bit behind on seeking reviews and that I shouldn’t rely on them but start looking for my own. This is a great help. I was clueless until I read it. Great timing then, Annie! Many writers are finding the same thing: there is still quite a bit of work to be done on your own, even if you’ve managed to snag a traditional publishing deal. Great article, Kim. I’m one of those authors who put in a lot of effort to writing indie novels (with professional help)but shy away from the less familiar territory of marketing. Frankly, I’m not sure I want to make the effort – happy to sell and share my work with a small group of loyal readers. I get a huge sense of achievement/satisfaction without having promoted a best-seller. You’ve clarified in my mind why I’ve always been suspicious of paid book reviews. I won’t use them. You are definitely not alone, Thomas. Not every writer is striving for best-seller status and many prefer to cultivate a smaller, but super-engaged fan base. Just be careful you’re not selling yourself (or your work) short because you’re afraid to step outside your comfort zone. Money and fame are side issues, and my guess is that all things being equal, there are very few authors who don’t want the widest possible reach when it comes to readership. Your work is important. And it’s just as important that you ensure that the people that it’s meant for, get to experience it. First, thank you so much for providing this invaluable information, it is something I definitely need right now. I have one novella out at the moment (it was free for over 6 months), and although it was downloaded by over a 1,000 readers, no one has left a review. Does that mean the book stinks? Even so, I’m carrying on regardless. With my next book (a full-blown novel), I hired a professional editor, and at the moment, I’m going through the edits. Only problem is, I’m worried I’ve spent all this money and nothing will come of it. Well, enough whingeing, I’ll take a very close look at all the important points you suggested and see what happens. Like anything in life, it’s all about the hopes and wishes. Again, many thanks for the time and effort you have put into this post. I will be following for sure, now. Ironically, your average, casual reader is the least likely to give a review, especially when there is no prompt or direction to do so. But, I think you’re moving in the right direction–create the best, most professional work you can, and develop a plan of action for this novel. One of the biggest problems I see with writers just starting out, is that they scramble to find “tactics” to quickly get reviews–or followers on social media, or book sales–but unfortunately, there is no “quick” tactic that will produce the results you expect. Tactics work best when combined with an overall marketing plan: many tactics forming a strategy, and several strategies working in conjunction to build marketing momentum. Sporadic, inconsistent attempts will not get you where you want to be. And worse? They are not replicable, so each book that comes out is a fluster of activity that leads nowhere. It is much less frustrating to take the time to build a solid foundation first, then build upon that as you market subsequent novels. It’s more upfront effort, but the rewards down the road will be significantly greater. John, thank you very much for your offer. I’m writing a non-fiction Kindle that will soon be published on Amazon. I’d love to take you up on your offer. Wow, now this was an amazing and informative post. I have written a paranormal mystery series consisting of 3 books so far, and my latest nonfiction book – A Complete “How To” Guide for Rookie Writers. My goal for the nonfiction book was to hopefully make the journey of a new writer a little easier from my experience of a wanna-be writer to published author by using screen shots and step-by-step instructions. The ever growing struggle of getting our books out there is a constant learning process, but one I love doing because I’m in it for the long haul. I have used Reader’s Favorite http://www.readersfavorite.com for some of my reivews and I love them. They have a niche for meshing the perfect reviewer together with the genre of your book. You can pay for an expedited review, or for free if you have the patience to wait. Whatever venue authors use, the bottom line is helping each other out and I love learning, so thank you for sharing this post, it will definitely be a “favorited” link for future reference. Thanks for sharing your insights, Robin! I think it’s fantastic when other writer’s “pay-it-forward” by sharing the info and resources they’ve gathered so far on their journey. Great information here. I’ll be back to read again. There’s so much here. You show how to really provide value to your readers. Kudos. I’m almost done with the rewrite of my first book. I didn’t even think of trying to get a website up or the other things that I will be doing, bit by bit. It seems so overwhelming. But I’ll take it a step at a time with your website as a guide. Happy to hear you are finding the info you need, Desiree. 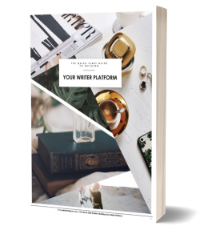 If you’d like, you can grab the free ebook “The Quick Start Guide to Building Your Writer Platform“. I’ve designed it to help get you pointed in the right direction, instead of trying to swim through a bunch of blog posts on your own.